The former Boise State QB will make his debut as the Huskies' play-caller against Auburn. 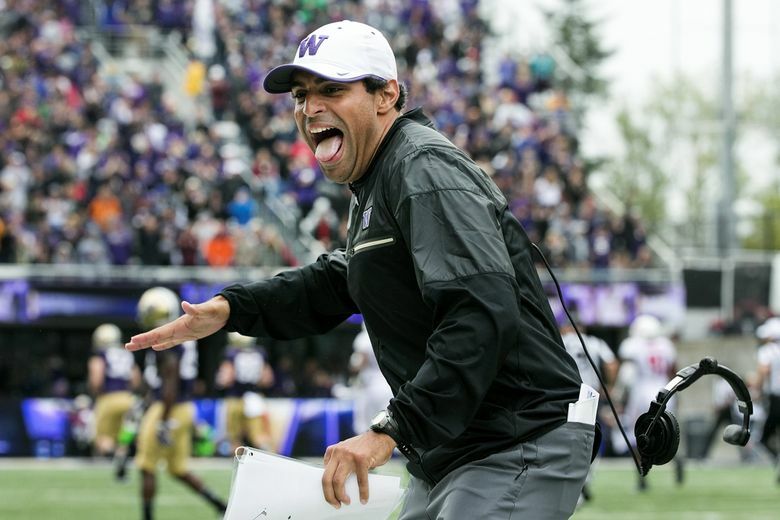 Washington offensive coordinator Bush Hamdan a quarterback at Boise State under Chris Petersen a decade ago, will call plays for a Power Five program for the first time Saturday against No. 9 Auburn. Just 32 years old, Hamdan already has a well-traveled coaching resume — with 10 different titles at eight locations in 10 seasons, mostly recently with stops at Davidson (offensive coordinator) in 2014; at UW as a quality-control coach in 2015 and wide receivers coach in 2016; and with the Atlanta Falcons as quarterbacks coach in 2017. As much as anyone, Hamdan knows Petersen’s offense, and he had more than 1,500 team-period snaps during fall camp to get acclimated to his new role.